Wild: I don’t know where to start with Araneomorphus amalgotantibus. It has so many of the nightmare inducing traits of spiders from among many family and genus. 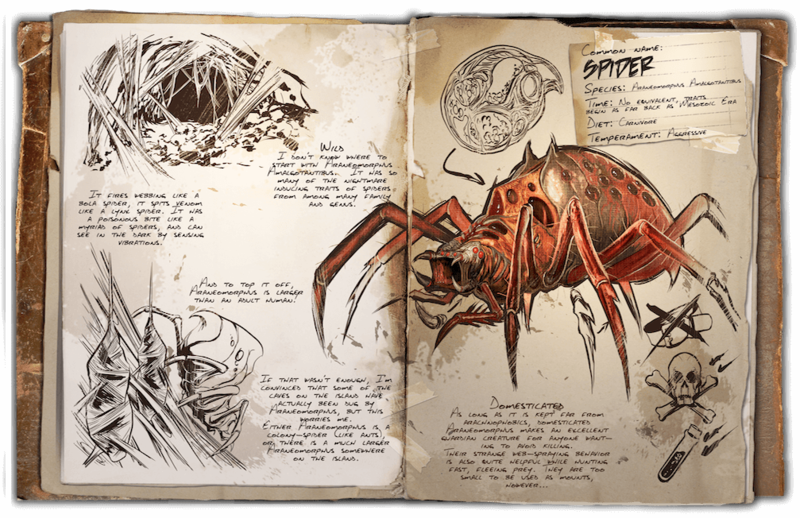 Known Information: It fires webbing like a bola spider, it spits venom like a lynx spider. It has a poisonous bite like a myriad of spiders, and can see in the dark by sensing vibrations. And to top it off, Araneomorphus is larger than an adult human! If that wasn’t enough, I’m convinced that some of the caves on the island have actually been dug by Araneomorphus, but this worries me. Either Araneomorphus is a colony-spider (like ants), or there is a much larger Araneomorphus somewhere on the island.